The STEM scholars at Newbern Middle had a very exciting first semester. These students were assessed using a variety of team building challenges and activities. These challenges and activities allowed students an opportunity to gain knowledge about how important effective communication and teamwork are whenever a team is required to solve problems. Solving problems are a major component of the STEM program and engineering standards. 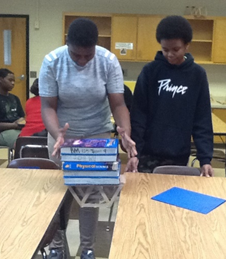 Therefore, Mrs. Williams, the STEM instructor, emphasized to her students that before scientists and engineers can solve problems they must be able to utilize effective communication and teamwork skills. 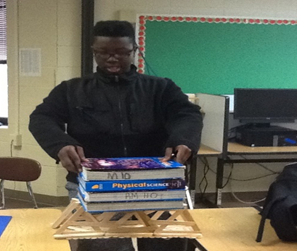 The Popsicle Bridge Challenge is an example of one of the challenges that students participated in this past semester. Students were required to build a bridge using popsicle sticks that would hold at least 25lbs. The teams who conquered this challenge were very excited. Way to go Newbern scholars!